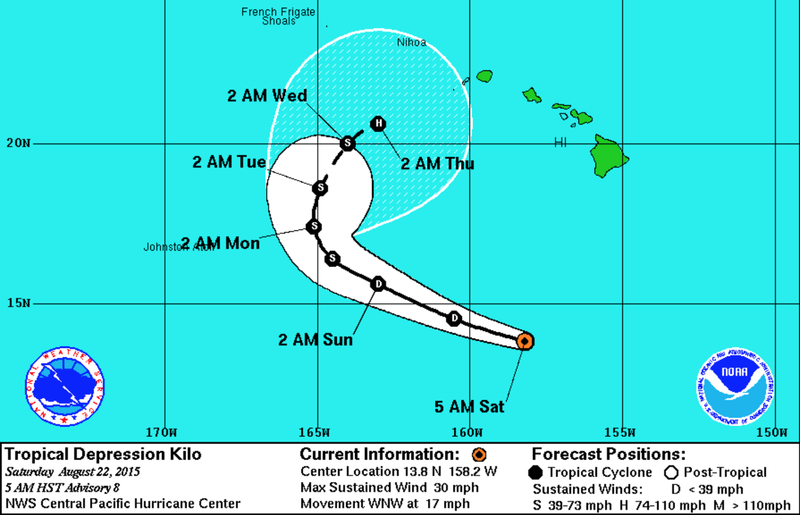 Tropical Depression Kilo (it was a tropical storm) is struggling to get organized. 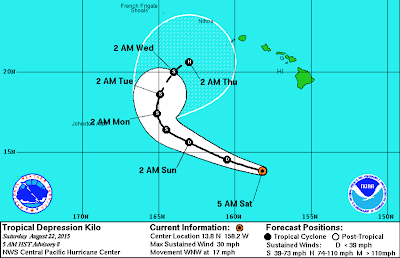 However, it is still a threat to both the Hawaiian Islands and a threat to become a hurricane. I heard from a friend in Hawaii that the local media is barely mentioning the threat -- which is typical ("don't scare the tourists"). So, I'll continue to periodically update on the threat, if any, posed by Kilo. Hurricanes 101 For the "Huffington Post"
Will the Climate "Tipping Points" Never End? Sunday Fun: A "Climate Museum"
Considering a Career in Meteorology? Is There a Downside to the Lack of Hurricanes? Forecaster Evie: Thunderstorm Moving In! Forecaster Evie: Be Safe at the Pool!